Ever wonder what happened the summer prior to Sabrina Spellman's pivotal 16th birthday? Scholastic is teaming up with Netflix's Chilling Adventures of Sabrina to answer that question in the new prequel novel Season of the Witch. Due out in paperback on July 9th and written by Sarah Rees Brennan, Season of the Witch's official cover […] The post Release Details & Cover Art for CHILLING ADVENTURES OF SABRINA Prequel Book SEASON OF THE WITCH appeared first on Daily Dead. Ever wonder what happened the summer prior to Sabrina Spellman's pivotal 16th birthday? 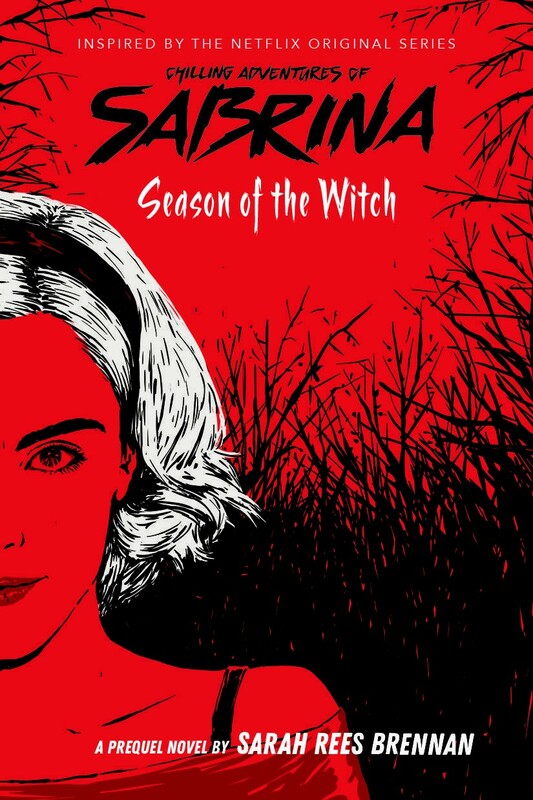 Scholastic is teaming up with Netflix's Chilling Adventures of Sabrina to answer that question in the new prequel novel Season of the Witch. Due out in paperback on July 9th and written by Sarah Rees Brennan, Season of the Witch's official cover art was unveiled by SYFY WIRE and can be viewed below. Scholastic has also published tie-in books for The CW's Riverdale (which is set in the same universe as Chilling Adventures of Sabrina), so it's no surprise that they're now taking readers into the creepy town limits of Greendale. For more information, read the official synopsis (via Amazon), and keep an eye out for Netflix's Chilling Adventures of Sabrina Part 2 on April 5th. "It's the summer before her sixteenth birthday, and Sabrina Spellman knows her world is about to change. She's always studied magic and spells with her aunts, Hilda and Zelda. But she's also lived a normal mortal life -- attending Baxter High, hanging out with her friends Susie and Roz, and going to the movies with her boyfriend, Harvey Kinkle. Now time is running out on her every day, normal world, and leaving behind Roz and Susie and Harvey is a lot harder than she thought it would be. Especially because Sabrina isn't sure how Harvey feels about her. Her cousin Ambrose suggests performing a spell to discover Harvey's true feelings. But when a mysterious wood spirit interferes, the spell backfires... in a big way. Sabrina has always been attracted to the power of being a witch. But now she can't help wondering if that power is leading her down the wrong path. Will she choose to forsake the path of light and follow the path of night? Our exclusive prequel novel will reveal a side of Sabrina not seen on the new NETFLIX show. What choice will Sabrina make... and will it be the right one?"